Was a bit of panic this morning when we couldn't view this weeks tasks (crazy I know)! We have turned into these possessed clean freaks that anxiously wait for our check lists and to-do lists of what to clean in our house (knowing very well that we just need to look around and see right in front of us what needs to be cleaned lol). We didn't have to wait too long to view the tasks and before we knew it we were cleaning our showers/bathtubs/sinks in our bathrooms (or finishing off tasks from last week). So today was dedicated to cleaning the bathroom. Cleaning the windows/sills, giving the bath & shower a good clean, wiping down the sink & cleaning the toilet (and I mean a real good clean)! 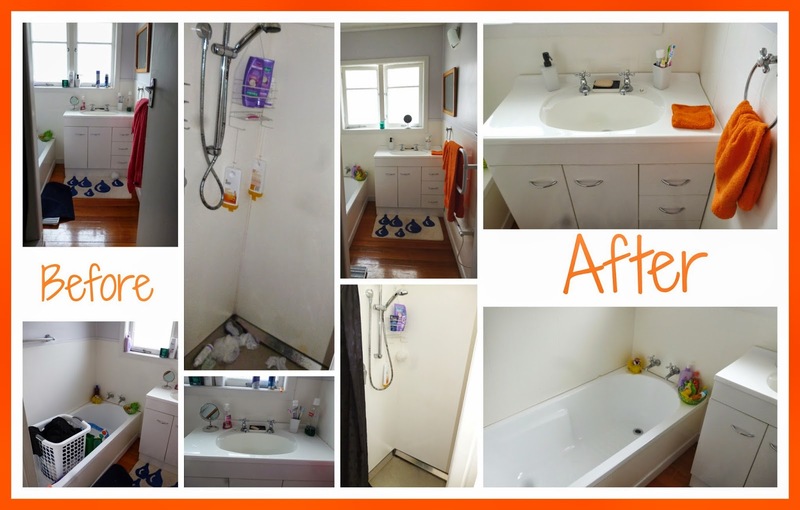 Loving my shiny, clean bathroom with a pop of orange!